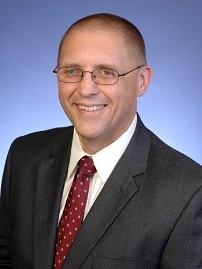 Jim Bielenberg is the Chief technology officer for the RAPID manufacturing institute. RAPID is a public-private collaborative institute that carries our research and develops educational and networking opportunities in the areas for processing intensification and modular processing. As CTO, Jim is responsible for defining the technical direction of the institute through the development of technology roadmaps and project selection. Prior to RAPID. Jim worked for ExxonMobil Research and Engineering where he held research and leadership roles spanning several technology areas, including upstream, downstream, chemicals, and biofuels applications. During his time at ExxonMobil Jim also held roles in supply chain planning and marketing for the ExxonMobil Chemical Company. Jim came to ExxonMobil following a postdoctoral research position at Los Alamos National lab.